The event consists of a Saturday afternoon race starting from Deep Water Bay and an overnight raft up and party. The next day after a luscious breakfast, again an Island race back to ABC Middle Island clubhouse for a late lunch and the prize giving. 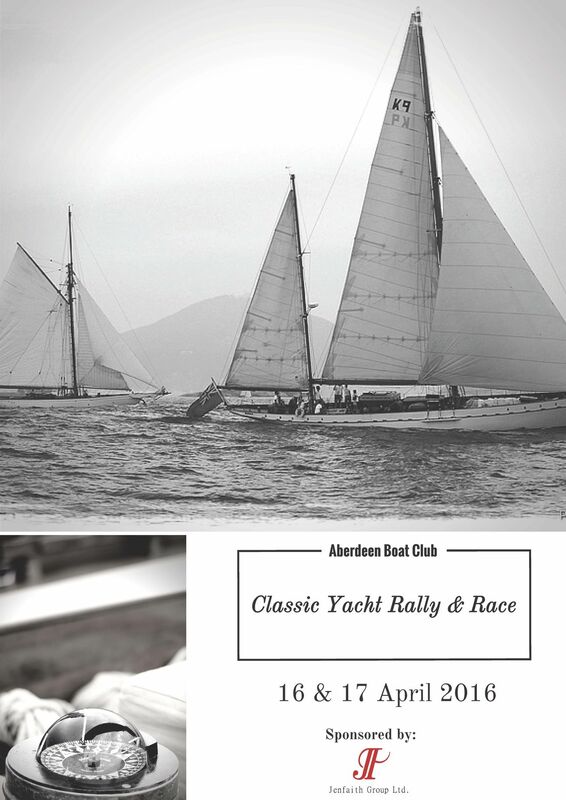 The ABC Classic Yacht Rally is a celebration of style and design. While featuring older classic craft, it is at the same time open to all boats, both Classic and modern. Non-racing boats can join the rally division for a great cruising week-end with family or friends. There are also class prizes for Taipan, Cheoy Lee and Cape Carib Yachts, and other classes subject to a minimum of three entries. Motor cruiser are more than welcome to join the event for a great day out and rendez-vous at the newly renovated Middle Island facility with all sea goers of the Club. Classic boats over 25 years old are eligible for the event perpetual trophy. Apart from Concours d ’Elegance awards, we also have various prizes including the oldest yacht and most colourful crew and other fun prizes.